From its inception, Trinity Power Rentals has been more than just an order desk and delivery service. In fact, we do not see ourselves as a rental company at all – we believe we’re in the business of delivering power assurance. Our beginnings in the film industry taught us all we needed to know about complex projects with unreasonable deadlines; providing turn-key solutions and supporting people working under intense pressure. In 2003, we began to shift our core focus to the industrial and commercial sectors. In addition to film and event projects, we are now fully immersed in providing solutions for oil & gas, mining and construction industries. In 2008, to help manage this growing demand, we opened a second Trinity Power branch in Edmonton, Alberta and in 2017, a third branch in Mississauga, Ontario. At the same time we established an infrastructure to support these new sectors and regions, film and event markets grew in unison. In 2010, our services were utilized in an event of grand proportion and significance. We take great pride in the contribution our company made at Vancouver Winter Olympics. Our company has been built on a legacy of customer service and doing things right. 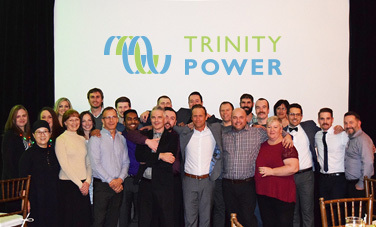 A multi-generational family business, Trinity Power Rentals was designed to be a concept-to-completion solutions provider. Our founding partners understood that when you’re delivering 1000s of watts of temporary power, you’ve got to get it right, without fail – or projects fail and lives are at risk. Founding partner Ross Johnston passed on his unwavering beliefs of thoughtfulness, customer support, integrity, and follow-through to his son Todd. Now the CEO of Trinity Power, Todd understands that the key to delivering excellence in all aspects of the business is the Trinity Power team. Visit our Facebook albums...at events, in the office, on site. "Dedicated to developing ongoing relationships and providing exceptional service throughout the customer life cycle." For equipment specifications & application videos. "Proud to be a centre of knowledge for the temporary power industry." "We are a work hard, play hard group, who knows that this is not a 9-5 industry." "We aim to exceed the industry standard in temporary power equipment innovation." At Trinity Power, we've built our success on three strong business pillars – our people, our processes and our products. This emphasis has helped our company to become a centre of knowledge for the temporary power industry. Our team delivers concept-to-completion rental power solutions that fit the unique needs of our customers’ planned projects and emergency outages. We are dedicated to developing ongoing relationships and providing exceptional service throughout the customer life cycle. We take great care to hire by our core values. We choose individuals for their expertise and knowledge in our industry, and invest heavily in continuing education to support the growth of our team. Don't just take our word for it – ask around. We strongly believe you will discover our reputation has been built by staff that has achieved exceptional results while working under critical time constraints and project demands. 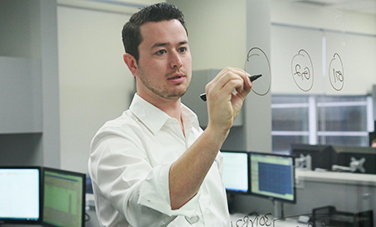 Trinity Power is a systems-oriented company, and we work tirelessly to automate our processes so that we can provide rapid-response service and deliver reliable temporary power solutions. We manufacture much of our product line ourselves, and we aim to exceed the industry standard in temporary power equipment innovation, reliability and safety. 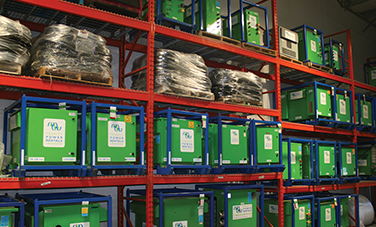 Our extensive inventory of high-quality, cost-effective, safe and environmentally sustainable power solutions can accommodate your power requirements, no matter what the project. And we are constantly adding equipment to the fleet, so if you can't locate the piece you need, please reach out. If we do not have it, we will source our distribution network – Canada's largest – on your behalf.